Sarah and I are riding again this year (2018)! This is our NINTH ride together as father and daughter. This year we are again honored to be riding with Team Kermit. 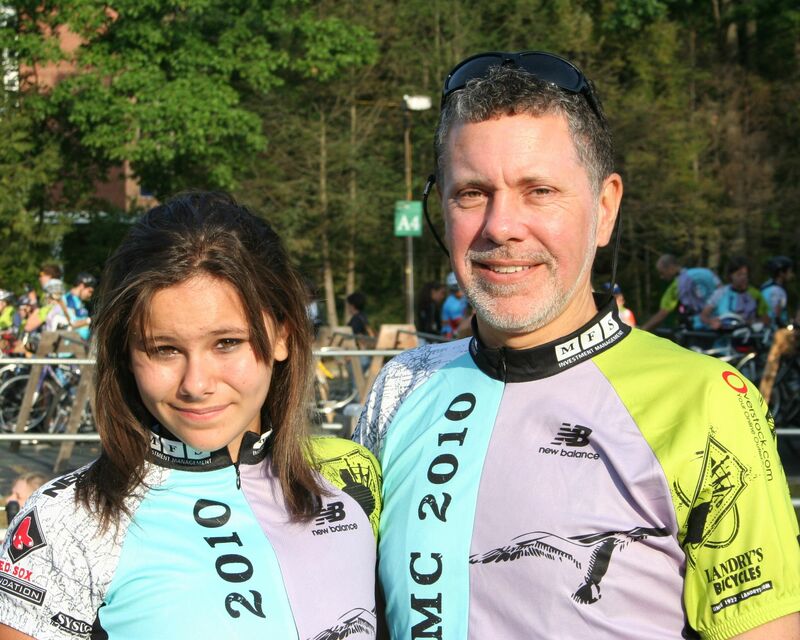 My ride - and your support - are both in honor of my daughter, Sarah, and in memory of my daughter Jessie. In October 2007, at the age of 9, she succumbed to the treatment for her leukemia and did not survive. Dana Farber kept Jessie's cancer in check for six years, while different sources of hope emerged since her original 2001 diagnosis. 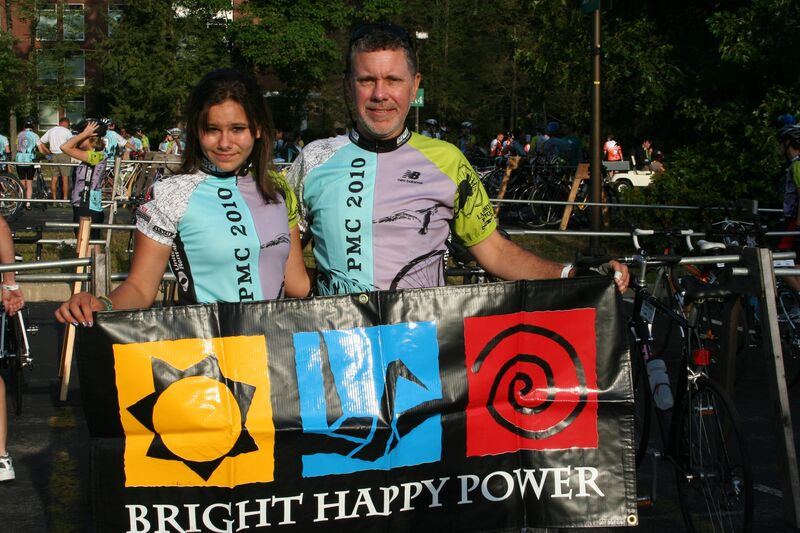 This is our tenth year that we continue our fund to carry on her legacy - the BRIGHT HAPPY POWER Fund. In our lifetime, Dana Farber has achieved a striking success rate for children with acute leukemias. They continue to set standards for the successful treatment of solid tumors in children, too, such as neuroblastoma. Every year the financial burden of discovery and research for treating and beating childhood cancers has fallen more heavily on private institutions such as Dana Farber's Jimmy Fund. Support us in whatever measure you're able to do so. 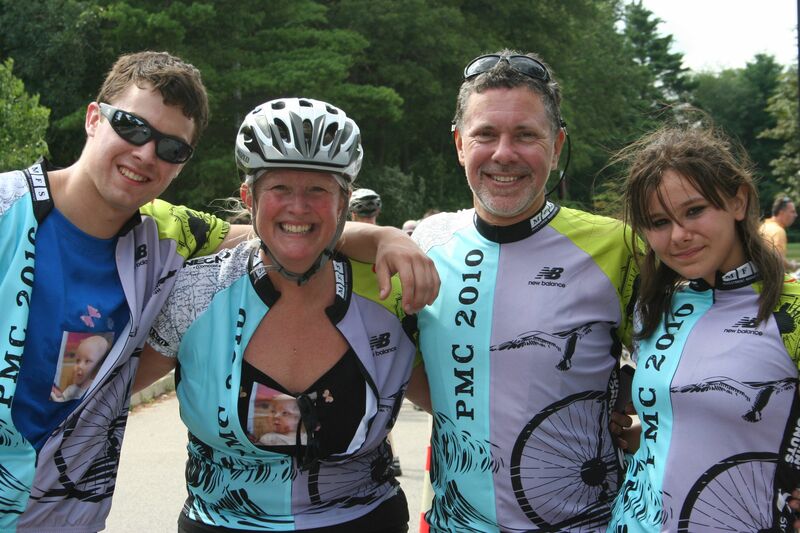 Your help is quantifiable; it has helped Dana Farber's Jimmy Fund to keep Jessie alive for six years. Thanks for continuing in this important event. 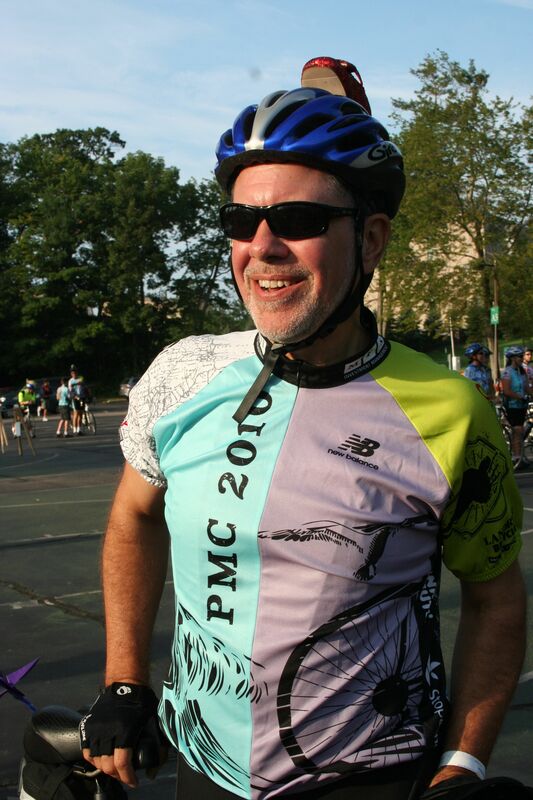 It is such an inspiration and continues to be vital for cancer research.